More evidence against e-cigarettes suggests using the device could be more harmful than good. E-cigarette was originally invented in order to aid smoking cessation. It was created by Chinese pharmacist Hon Lik in order to quit the habit which killed his father, The Guardian reports. According to a release published on EurekAlert, Dr. Daniel J. Conklin of University of Louisville’s Division of Cardiovascular Medicine will be discussing his research regarding what he found about the effect of e-cigarettes on the body. Conklin will discuss how atherosclerosis increases with constant e-cigarette use on the “New and Emerging Tobacco Products: Biomarkers of Exposure and Injury” during a three-member panel on Friday. Atherosclerosis is a condition where the arteries of the body become narrow and hardened because of plaque-build up. This disables oxygen-rich blood to pass normally to critical organs of the body including the heart. According to the National Heart, Lung and Blood Institute, atherosclerosis can lead to heart attack, stroke, and even death. For their study, Conklin and colleagues tested the effects of various levels of exposure to e-cigarettes, tobacco smoke, nicotine, and smokeless tobacco or acrolein on mice. They found that tobacco smoke increased atherosclerosis on mice while e-cigarette aerosol also increased the condition. Conklin was surprised how nicotine or acrolein on their own increased atherosclerosis in the mice models. The findings suggest that most tobacco products may have heart-disease-causing potential. Another study that will be presented at the American Association for the Advancement of Science (AAAS) annual meeting this month states that e-cigarettes can cause the body’s respiratory system to be impaired as it affected its mucosal cells, Medical Xpress reports. Dr. Jaspers and colleagues found that certain e-cigarette flavorings have certain effects as well. Cinnamon-flavored e-liquids and cinnamaldehyde are some of the flavors they tested. Pregnant women who smoke may harm their babies’ brain development if they turn to e-cigarettes to satisfy their nicotine craving, scientists have warned. New research suggests that e-cigarette vapour may be as damaging as tobacco smoke to the nervous systems of the foetus or newborn infant. The early findings, based on studies of mice, show that exposure to volatile chemicals from the devices disrupts the activity of thousands of genes in the developing frontal cortex, the brain region responsible for higher mental functions. Analysis of the altered gene activity patterns indicated that they could lead to reductions in learning, memory and co-ordination, and increases in hyperactive behaviour. These are just the sort of neurological effects seen in children whose mothers smoked during pregnancy and who are known to be at risk of attention deficit hyperactivity disorder (ADHD) and learning difficulties. A further study, still on-going, has shown that older mice exposed to e-cigarettes in the womb or just after birth do indeed appear to be hyperactive, running around at a faster rate than normal. Lead scientist Professor Judith Zelikoff, from New York University in the US, said: “This is ground-breaking research. What it shows is that there is certainly some concern over the safety of e-cigarettes, particularly in relation to pregnant women or young infants. “There are potential dangers revealed by these studies indicating a possible impact to the unborn child that may be seen at birth but may occur later in the life of the child. Prof Zelikoff’s team started out expecting to see effects from nicotine, which previous research has suggested may have an impact on brain development. The whole point of e-cigarettes is that they deliver a dose of nicotine minus the highly damaging cocktail of other chemicals found in tobacco. For this reason they have been touted as a “healthier” alternative for smokers who lack the will to quit, or a cessation aid that can help to wean them off tobacco. But recent studies have challenged the view that apart from its addictive properties, nicotine on its own is harmless. And the new research shows that other e-cigarette chemicals besides nicotine have an even bigger effect on developing nervous systems than the tobacco compound. In the gene activity study, mice exposed to e-cigarette vapour with its nicotine removed experienced the largest number of changes, with some genes being boosted and others suppressed. Females were more affected than males. Two major components in e-cigarettes are propylene glycol and vegetable glycerin. In addition, various flavourings may be added. The findings were presented at the start of the American Association for the Advancement of Science (AAAS) annual conference in Washington DC, the world’s largest general science meeting. In the first study, 30 to 40 normal pregnant mice were exposed to e-cigarette vapour from the popular “Blu” brand, with or without nicotine, or allowed to breathe ordinary air. Dose levels were “relatively low”, said the scientists. The exposure lasted the full length of the mothers’ pregnancies, about three weeks. Four days after birth, their offspring underwent the same exposures for another three weeks. Tissue samples from the animals’ brains were then tested for gene activity. Intelligent software was used to predict the likely effects of the patterns seen, based on the results of previous genetic research. The second study involved around 60 three-month-old mice. Activity levels were found to be significantly higher in male and female mice that had been exposed to e-cigarette vapour, with or without nicotine. This time refillable “tank” e-cigarettes were used. E-cigarette exposure was also associated with greater “vertical time” – how much time the mice spent rearing on two legs, which is linked to exploratory behaviour and curiosity. The implications of this are not certain but it could indicate a propensity for risk taking, the scientists believe. Prof Zelikoff challenged the idea that e-cigarettes played a valuable role in helping people quit tobacco. “Many people who use e-cigarettes are dual users,” she said. “They enjoy e-cigarettes and they smoke. And e-cigarettes can be a gateway – there are concerns that adolescents are starting with e-cigarettes and going onto real cigarettes. Professor Adam Balen, chairman of the British Fertility Society, said: “Whilst e-cigarettes may help some people to stop smoking real cigarettes, one cannot escape the reality that various chemicals are still being inhaled that have potentially harmful effects both to health, fertility and also the non-consenting participant, that is the baby. In the UK, a hi-tech e-cigarette called Evoke – which can communicate with smartphones – has recently been licensed as a medicine by the Medicines and Healthcare products Regulatory Agency (MHRA). A spokesman for the agency said: “It is a product of acceptable quality and can be an effective aid to smoking cessation. Other research by the same US team has suggested that exposure to e-cigarettes may have a harmful effect on male fertility. In another mouse study, three to five-week-old male offspring whose mothers had been exposed to e-cigarette vapour were found to have lower concentrations of sperm. Their sperm was also significantly less active than non-exposed mice. A hotel which prided itself for winning four top green building awards worldwide for its designs and facilities was found by the South China Morning Post to have breached for years the tobacco smoke control requirement imposed by the United States Green Building Council. Concerns were raised about the risk of proprietors turning green buildings into “non-green” ones if they failed to monitor their tenants for enforcement of green measures or best practices. 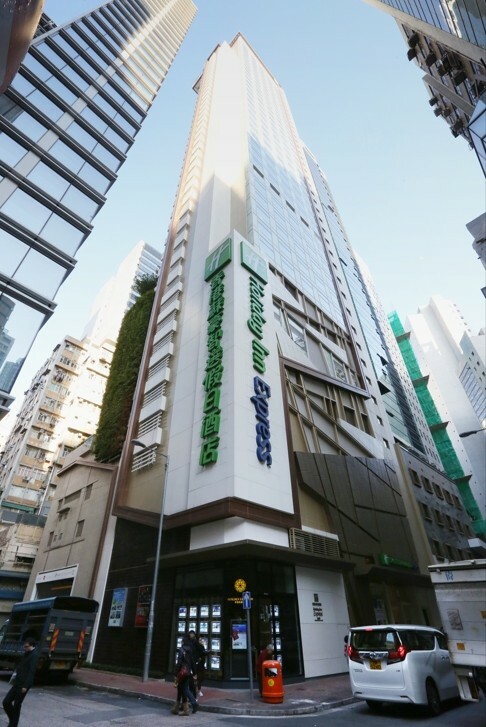 The Post’ s investigation found that Moon Thai Restaurant, on the second floor of the Holiday Inn Express Hong Kong SoHo in Sheung Wan, had allowed smoking at its outdoor terrace since the hotel was launched in late 2013. The hotel is owned by Yau Lee Holdings, the vice-chairman of which is Conrad Wong Tin-cheung, who just stepped down as chairman of the Hong Kong Green Building Council at the end of last year. The terrace of the restaurant is part of the hotel building and is divided by a sliding door, which was kept open very often when waiters and waitresses had to serve meals for customers at the outdoor terrace, causing second-hand smoke from customers smoking outdoors to drift inside, the Post observed. The hotel was deemed a role model for green buildings as it had won four highest-rated green building awards worldwide, including a LEED Platinum from the US Green Building Council, a BEAM Plus Platinum award from the Hong Kong Green Building Council, BCA Green Mark from Singapore’s Building and Construction Authority and Green Building Design Label (3-Star) from the China Green Building Council. However, the US Green Building Council website’s section on LEED criteria states that smoking is prohibited inside and outside the building except in designated smoking areas located at least 25 feet (7.6 meters) from all entrances, outdoor air intakes and operable windows. Smoking is also prohibited outside the property line in spaces used for business purposes. The Post’s reporters visited the restaurant in November and December last year and sat in the terrace. A waiter automatically handed us an ashtray and said “certainly” when asked if smoking was allowed. Some customers were also found smoking on the terrace. A waiter told the Post that the restaurant allowed outdoor smoking all along. In response to the Post’s enquiries, the hotel’s general manager Kaivin Ng said the restaurant was operated by a tenant, rather than “directly by the hotel”, but that “they are well aware of our green building status”. Ng insisted they had adhered strictly to a full non-smoking policy, adding that they would investigate the matter seriously and would keep reminding the tenant of the hotel’s policy for a smoke-free environment. The restaurant’s spokesman Mr Lo told the Post that as far as he knew, the hotel had failed to indicate its full non-smoking policy in its contract with the restaurant. Its manager Mr Fan said the restaurant had started to adopt a smoking ban on the outdoor terrace. World Wildlife Fund assistant manager Prentice Koo Wai-muk said the hotel should make every effort to ensure its tenants complied with its green policy. “The hotel has absolute responsibility to make sure its tenants enforce its green measures and uphold best practices. It should stipulate this as a term in its contract with its tenants,” he said. “Green building assessments deal only with the hardware of the buildings, their design and facilities. But it needs good management to keep the hardware green and sustainable, and to achieve the desired effects of green buildings. “This showcases that without proper green management to ensure the enforcement of supporting measures, green buildings can no longer be green,” he added. Conrad Wong, the then outgoing HKGBC chairman, did not reply to the Post’s enquiries. A HKGBC spokeswoman, however, said the BEAM Plus Platinum rating the hotel obtained was under the assessment of the new buildings category for the project’s “as built” condition in 2012. “It does not, however, cover ongoing property management and operations by building owners and tenants such as the ‘smoking policy’ for the building,” she said. Koo believed the city’s BEAM Plus assessment scheme should learn from the LEED assessment by including the tobacco smoke control requirement. USGBC has not replied to the Post’s written enquiries made over a month ago. The process your body goes through after stopping smoking – in the 20 minutes to 15 years after your last cigarette – has been revealed by CVS health. Around 10 million people in the UK smoke, and about two thirds of them want to stop, according to research from Action on Smoking and Health (ASH). About half of all regular smokers will die from their addiction, which amounts to about 100,000 people a year. The infographic from CVS Health revealed that 20-30 minutes after smoking cessation blood pressure and pulse have already started to drop, and the carbon monoxide in the blood will begin to drop after just eight hours. Five years without a cigarette will halve the risk of heart disease, and the risk of mouth, throat, esophagus and bladder cancer. After 15 years of not smoking, your risk of death will have almost returned to that of a non-smoker. It takes this long for your risk of lung cancer, pancreatic cancer and heart disease to reduce to that of a non-smoker. If you think switching to e-cigarettes during pregnancy is safer, then you are wrong as a new study suggests that by doing so, you are unwittingly putting your unborn baby at risk. The New York University study found that the devices may harm learning, memory, co-ordination and behaviour and the world’s leading science conference has heard that even fertility may be cut, the Daily Mail reported. Researcher Judith Zelikoff said that women may be turning to these products as an alternative because they think they’re safe, but as it turns out they’re not. Zelikoff compared baby mice exposed to e-cigarette vapour in the womb and shortly after birth with pups whose mothers had breathed in clean air. Both normal e-cigarettes and nicotine-free varieties were used. When she looked at the creatures’ brains, she found distinct differences in their genes, with up to 2,630 genes more or less active in the mice that had breathed in e-cigarette fumes. She noted that the findings should open people’s eyes by showing that this is something that potentially can be harmful if used during pregnancy. It should lead to much more research, this is just the beginning. This is not just a product that’s cool to use and is not going to have health effects. Patrick O’Brien, of the Royal College of Obstetricians and Gynaecologists, said that e-cigarettes are becoming a popular alternative to tobacco smoking, but as the long-term risks for the developing baby from using them are not known, they do not recommend women to use these products in pregnancy. Criticism levelled against the European Commission by European Ombudsman Emily O’ Reilly over its dealings with the tobacco industry is welcome. She has accused the Commission of breaching World Health Organisation disclosure rules regarding its contacts with tobacco makers. Its stance is at variance with that taken by the European Parliament, a point highlighted by Minister for Children James Reilly. He said this week: “It is not acceptable that the European Parliament works hard to progress a tobacco directive which seeks to protect public health and yet the commission is not proactively transparent in all its dealings with the tobacco industry”. The industry invests heavily in a lobbying programme aimed at rolling back public health initiatives which are intended to combat smoking. A report by the European Ombudsman in October sharply criticised the Commission’s transparency policy regarding contacts with the tobacco industry. While the health directorate general of the European Commission publicises its dealings with the industry, other sections of the body do not. “It appears that the sophistication of global lobbying efforts by big tobacco continues to be underestimated,” Ms O’Reilly noted. The tobacco industry has a shameful track record, going back to the 1950s, when research was first published showing a statistical link between smoking and lung cancer. Documentation shows it has consistently placed public relations ahead of public health; initially by creating doubt and controversy surrounding the health risks of smoking; and, more recently, by stopping efforts to control tobacco, targeting new markets in the developing world and recruiting new generations of customers who become addicted to tobacco. Smoking is the single biggest cause of cancer; one half of all smokers will die from a tobacco related disease. It is estimated that by 2030 the annual global death toll caused by smoking will rise to 10 million. In Ireland alone there are more than one million smokers. Continued obfuscation by the European Commission in its dealings with the tobacco industry is absolutely unacceptable. RISKY PUFFS Many people assume e-cigarettes are a healthier alternative to smoking. But new animal data suggest vaping may pose immune risks — and possibly behavioral and reproductive risks for the children of women who vape during pregnancy. WASHINGTON — Many people have turned to electronic cigarettes in hopes of avoiding the heart and cancer risks associated with smoking conventional tobacco products. But vaping appears far from benign, a trio of toxicologists reported February 11 and 12 at the American Association for the Advancement of Science annual meeting. If used as a means to totally wean people off of tobacco products, then e-cigarettes might have value, concedes Ilona Jaspers of the University of North Carolina at Chapel Hill. But she’s not sure. Her group examined scraped cells from the noses of otherwise healthy people who had a history of smoking, vaping or doing neither. The researchers then measured the activity levels in these cells of 594 genes associated with the body’s ability to fight infections. Among smokers, the activity of 53 genes was substantially diminished, compared with people who neither smoked nor vaped. Among vapers, those same 53 genes showed significantly diminished activity, Jaspers reported, as did 305 more. To test that possibility, Jaspers’ team collected immune cells from healthy human volunteers, then exposed them to flavored liquids used in e-cigarettes. Tested cells included blood neutrophils and lung macrophages, both normally tasked with gobbling up and killing bacteria. Some of the liquids proved disturbingly effective at suppressing the ability of those immune cells to do their job, Jaspers reported. One compound with a particularly suppressive effect on immune-gene activity was the cinnamon-flavored cinnamaldehyde. Jaspers said she was surprised to find cinnamaldehyde in some of the liquids, including the cola-flavored one. Judy Zelikoff of New York University’s Langone Medical Center in Tuxedo looked at genes affected by e-cigarette vapors. Her group exposed mice developing in the womb, and for a month after birth, to vapors at concentrations calculated to be comparable to what a vaping person might encounter. Then she tracked the activity of genes in the animals’ frontal cortex, a brain region associated with planning and integrating the senses to understand the environment. Whether the e-cig vapors contained nicotine made a big difference. Males exposed to nicotine-laced vapors showed no gene-activity changes. Among females, vapors laced with nicotine appeared to alter the activity levels of 148 genes in the brain’s frontal cortex. But among rodents exposed to nicotine-free vapors, a whopping 830 or more genes in the frontal cortex showed substantially altered activity — either much higher or lower than in unexposed mice. Here, both males and females were about equally affected. The nature of the gene changes would suggest affected animals would exhibit behavioral changes, including ones associated with mental illness, she said. To probe that a bit further, her group teamed up with researchers at the University of Rochester in New York. Both mice in the nicotine and no-nicotine group showed behavioral changes. When adult mice that had been exposed to e-cig vapors in the womb moved, they tended to do so at almost twice the pace as unexposed mice if the vapors had no nicotine. They moved faster still if they had been exposed to nicotine. Both groups of mice also jumped more. And mice exposed to vapors also stood on their hind legs more than those that had not been exposed. All of these “are behaviors that are reflective of increased — or hyper — activity,” Zelikoff reported, “and possibly agitation.” Her group is now exploring possible effects on memory and mental disorders. Her group also uncovered reproductive problems in young-adult males exposed to e-cig vapors in the womb. Their sperm concentrations were roughly half the value as those in unexposed mice. And the motility of their sperm was only a fifth as high as in unexposed males. A team led by a Roswell Park Cancer Institute researcher recently reported that high levels of a respiratory irritant were detected in the vapor from most flavored nicotine products they studied, with the highest concentrations in vapor from cherry-flavored products. The team, led by Maciej Goniewicz, analyzed 145 electronic-cigarette flavored products and found that many e-cigarette users may be exposed to benzaldehyde, a chemical compound used in many foods and cosmetic products. While it appears safe when ingested or applied on the skin, it has been shown to cause airway irritation in animals and humans, and may have different effects when heated and inhaled, Roswell officials said. The authors, who include researchers from the Institute of Occupational Medicine and Environmental Health and the Medical University of Silesia, both in Poland, measured benzaldehyde levels using an automatic smoking simulator and calculated daily exposure to users from 163 e-cigarette puffs. Their analysis detected benzaldehyde in the vapor from 108 (74 percent) of the flavored products studied, and found concentrations of the chemical that were 43 times higher in cherry-flavored products than in other flavors. Goniewicz, the paper’s senior author and assistant professor of Oncology in Roswell Park’s Department of Health Behavior, noted the research was focused on a single toxicant and should be interpreted as a first step in understanding the potential health effects from flavored e-cigarettes. The study, “Cherry-flavoured electronic cigarettes expose users to the inhalation irritant, benzaldehyde,” is available online at thorax.bmj.com.